We recently lost a wonderful guy named Tom Scrivner. We worked together for the last five years and Tom worked at the bank for 22 years. He loved the company and he loved his customers. Tom was a genteel, hard-working and humble man. Before I let the opportunity go by, I wanted to share a few things I learned from Tom. Your family is the reason for your labor. At Tom’s funeral, his son Ryan spoke about how his father was at every one of his sporting events as a child. Tom was always there, reassuring his children that they were wonderful. He supported them and provided his family with the best he could afford, while he drove a 15-year-old Honda station wagon. There was no question in Ryan’s mind that his Dad loved him and that he was special in his eyes. Even in the most difficult times for Ryan, he said that his father was a “comfort” to him. I pray that I can be that kind of father. Seek out and nurture diverse friendships. Tom’s friend, Will Claitt, spoke about the fact Tom had many circles of friends. He had work friends, soccer friends, country music friends, and even NASCAR friends. He connected with different people in different ways. The commonality was that he always made people feel like he was interested in them. I counted Tom as a friend. If he was very enthusiastic, he would call me “Buddy Boy”. If I got a “Buddy Boy”, I knew I did something right. Promote your customers and your friends. Will Claitt also reminded me about how Tom promoted his friends. If you mentioned that you needed anything around Tom, he would say “go see my friend, (insert Name) for your (Insert need) clothes, shoes, car, attorney, accountant, etc. He always looked for a way to connect people and send business to the people that he knew. This was a circle of activity that made everyone successful. Take it personal. Tom loved every customer and worked hard to keep them. If another company called on one of his customers, Tom took it personal. If he lost a customer, which he rarely did in his career, he would not be mad at the customer. He would focus his attention on winning a customer from that competitor. He was usually successful. Tom was not vindictive. He just wanted to make sure that it was really hard and really painful for a competitor to “get in his kitchen”. Always have your calculator in our pocket. 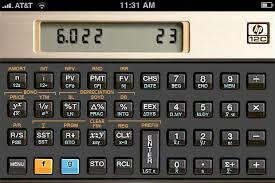 Tom’s Pastor recalled that Tom always had his HP calculator in his pocket. He carried it so he could always give an accurate answer if a customer had a question. The Pastor said it beautifully, “Isn’t that the kind of Banker everyone wants?”. Transition with integrity. Tom retired from the company in March of this year. He transitioned to Destin where he was in the process of starting his own business. He was so incredibly diligent about making sure that his customers were looked after before he left. He went on joint calls. He advocated for the new banker in the relationship. He made phone calls if it looked like any relationship was coming apart after he left. Tom transitioned from the company to an entrepreneur with an incredible amount of class and care. Your word is your bond. I heard Tom say “I have given them my word” a hundred times. If he agreed to it, it would happen. If he shook hands on it, consider it done. His customers knew that they could count on what he said and the bank knew that Tom was absolutely honest when he represented the company. He would move mountains of paper and jump through any administrative hoop to live up to his agreements. Tom was a man of his word. Tom was a gentlemen banker that loved making his customers dreams become reality. His mission in life was to take care of people. It was a privilege to work with Tom and to learn from him over the years. He will be missed. Posted in Business, Family, Leadership.Tagged Business, Community, Customer Service, Family, Friendship, Growth, Human Capital, Leadership, Learning, Legacy, Musings, Perspective, Stories, Thoughts, Wisdom. Thought provoking remembrances, Colby. I wish everyone had someone like him to model how a gentleman lives. Love this, Colby! You captured Tom Perfectly. Thank you David. I still miss Tom and think of him often!